People buy Jeep Wranglers to go off-road,and these vehicles are nothing short of amazing when you get into rocks and mud. There really is something special about a Jeep Wrangler. With a great history stretching back to 1940, a Jeep looks like fun and adventure waiting to happen. But for a long time, the dream of a Jeep was much more attractive than the actual driving experience. Jeeps were uncomfortable and hard to drive. That's all in the past now. 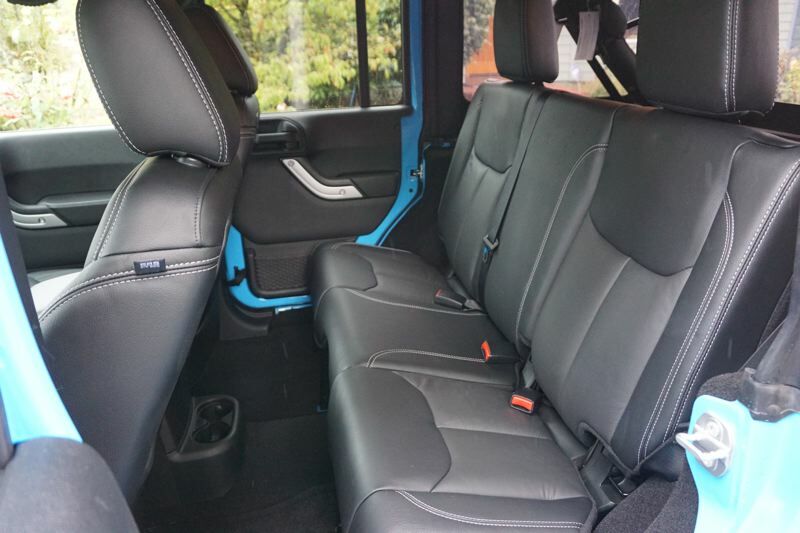 When you climb into a new Jeep Wrangler Unlimited, you'll find a vehicle with every luxury comfort, and a fully modern suspension and driving style. If your last encounter with a "real Jeep" was decades ago, it's time to take another look. First, the Wrangler Unlimited has a longer wheelbase than the basic Wrangler, and that helps it stay more stable on the road. 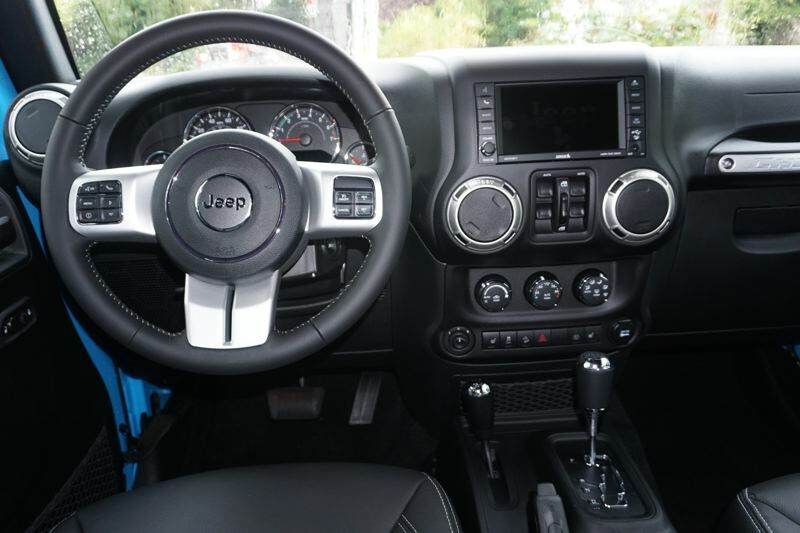 Modern Jeeps also come with the 3.6-liter Pentastar V6 engine, which is a proven and reliable unit that gives the Wrangler 285 horsepower and 260 pound-feet of torque. Engine power is passed to the rear wheels through either a 6-speed manual transmission, or a 5-speed automatic. The Wrangler line still uses a very strong transfer case, and you can shift into 4WD while driving. For serious off-road driving, you also get low-range gears, which you don't get with lighter-duty AWD systems. Fuel economy on the Wrangler Unlimited is a tradeoff. The Unlimited weighs about 4,100 pounds, and it's shaped like a big box. You'll get 16 MPG in city driving and 20 MPG on the highway. If you want more fuel economy, consider the smaller Jeep Renegade as an alternative. 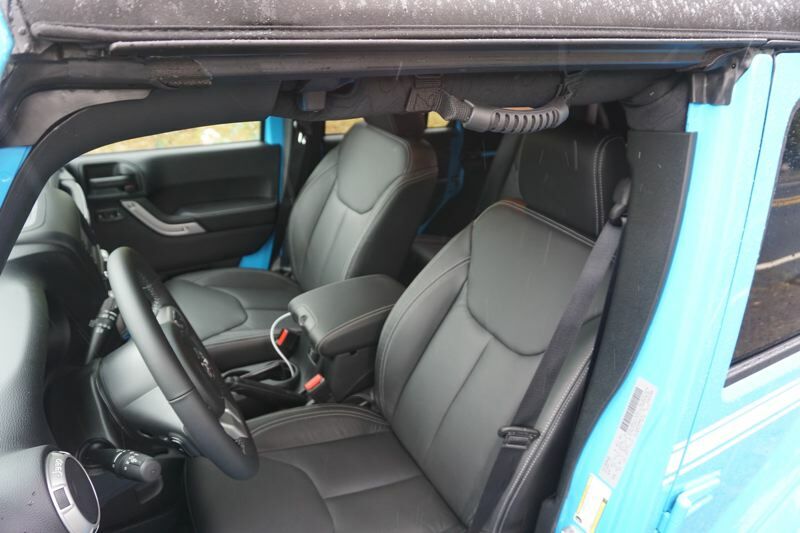 Inside, the Wrangler Unlimited gives you two rows of seating. In many trim levels, you'll enjoy heated front seats, leather, and a nice Uconnect infotainment system. Even the most basic Jeep Wrangler comes with air conditioning these days. 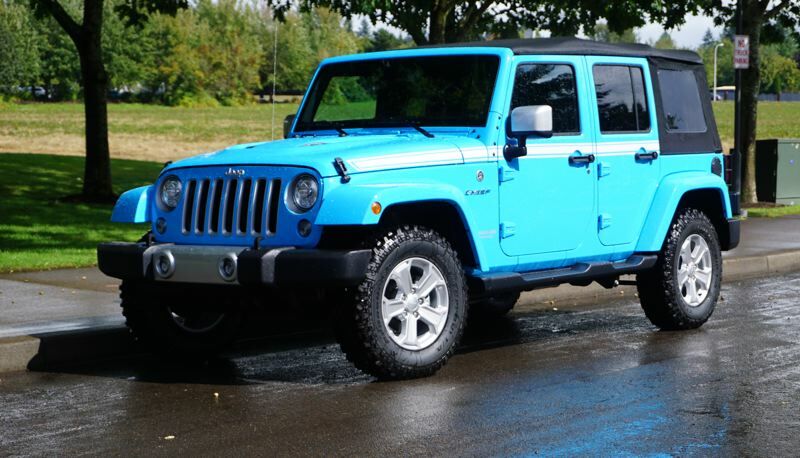 All Wrangler Unlimited models are convertibles. You can choose a soft top, removable hard top, or both at purchase time. The soft top on the test Jeep has kept the inside dry through the recent rains. You might get a little cold in a Portland winter with just a soft top, so get both tops if you can afford it. People buy Jeep Wranglers to go off-road, and I've had two opportunities to go off-roading with the Wrangler Unlimited this year. These vehicles are nothing short of amazing when you get into rocks and mud. If you need to go where no one else would dare, then a Jeep Wrangler Unlimited is your vehicle. But a modern Jeep is also fun to drive on the road, and I was reluctant to give this one back at the end of the week. The Wrangler Unlimited turned me into a Jeep fan.